If you are looking for transportation information about British Columbia, or are traveling through other parts of Canada and the USA, here are some Bed & Breakfast accommodation links that you may find useful. The B&B accommodations are as diverse as the Yukon itself: rustic log cabins at the lake’s edge, elegant Victorians that whisk you back to the Gold Rush a century past, contemporary homes built specifically with your comfort in mind. 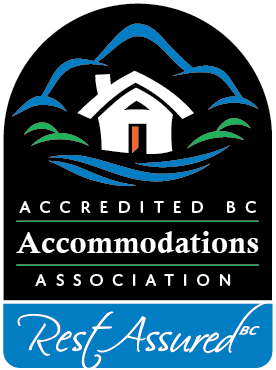 The Ontario Bed & Breakfasts that belong to our provincial Federation are leaders in our lodging industry. They are hosts who recognize the need for voluntary standards and quality, and who aspire to excellence in every aspect of the guest experience. Rise and Shine with us at an accredited Saskatchewan Bed and Breakfast, Farm Vacation or Guest Ranch – the perfect lodging for a vacation or just a weekend getaway. Look for the Black Rooster quality assurance symbol. Welcome to the official website of the Nova Scotia Bed and Breakfast Association. Experience authentic hospitality by visiting with your hosts at our many and varied Bed & Breakfast accommodations as you travel throughout Nova Scotia. Bed & Breakfast Association of Manitoba Chose one of the eco-friendly Bed & Breakfasts of this dedicated group of Manitoba B&B innkeepers.